The essential is visible to the eyes only by reducing things. The HOME COLLECTION is a classic design which easily unites modernity and timelessness. 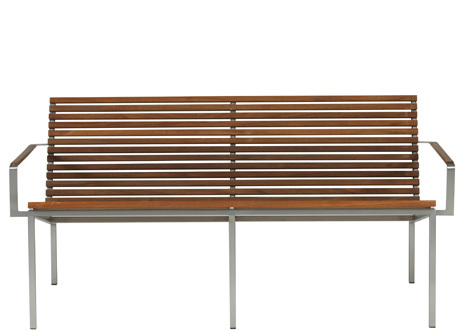 The HOME COLLECTION, made of teak, a natural wood, and supported by a stainless steel substructure, proves to be the ideal choice thanks to its pure and linear shape, which perfectly fits and blends in with every outdoor environment. The basic pieces of furniture are available in different heights. Hence, they meet all individual requirements. This gives rise to a variety of design options as well as to an outdoor living world full of architectural highlights. Thus, design and individual character end up coexisting in and together with the nature for many years to come.